2018 was an abysmal year for Maryland Republicans, notwithstanding Gov. Larry Hogan’s (R) decisive 12-point victory over former NAACP leader Benjamin T. Jealous (D). The presumptive 2022 Republican gubernatorial bench was all but wiped out last November, with Democrats scoring victories in the big six-county executive races, including two upsets in Howard and Anne Arundel Counties, respectively. Had former Howard County Executive Allan Kittleman – a center-right Republican well-regarded by state Republicans and Democrats – won re-election, it is likely he would have launched a 2022 gubernatorial bid. Similarly, former Anne Arundel County Executive Steve Schuh, more conservative than Kittleman and more aggressive in style, was already preempting his future gubernatorial bid. Sources familiar with Schuh’s future plans tell A Miner Detail that he was planning to team up with House Minority Whip Kathy Szeliga (R-Harford, Baltimore), running together on a gubernatorial ticket. Szeliga already has statewide name recognition: She won the 2016 Republican Senate primary but went on to lose the general election to now-U.S. Senator Chris Van Hollen (D-Md.). The gubernatorial door could still be open for the two former Republican county executives. Both men were tapped by the governor to serve in his administration in prominent posts: Kittleman is leading the Workers’ Compensation Commission; Schuh is heading the state’s Opioid Operational Command Center. Some Maryland political observers say, however, that Kittleman and Schuh’s public stature has been severely diminished after losing the keys to their county – and it would be nearly impossible for the two men to wage gubernatorial campaigns in four years. Moreover, the Republican Party nationally is undoubtedly facing a diversity shortage within its ranks. 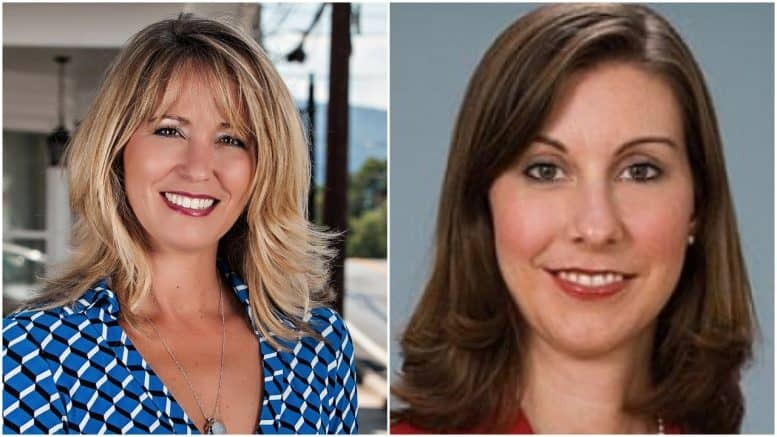 But here in Maryland, Republican women are on the rise – and two, in particular, may emerge as frontrunners in a 2022 gubernatorial Republican primary. In December, Gov. Hogan announced he would appoint Maryland Labor Secretary Kelly M. Schulz to lead Maryland’s commerce department to replace Michael Gill, who resigned to return to his former full-time job in the private sector. Schulz’s cabinet appointment is subject to Maryland Senate confirmation. Schulz, who just turned 50 on Jan. 2, was elected in 2010 to represent Frederick County’s District 4 in the Maryland House of Delegates. She previously served as an aide to former state Sen. David R. Brinkley, who now serves as Maryland’s budget secretary. Well-respected across the political spectrum, Schulz is viewed as one of the leading Republicans to succeed Gov. Larry Hogan come 2022. In 2017 she briefly flirted with a congressional bid in Maryland’s 6th Congressional District. She ultimately decided not to jump into the race. But with the impending congressional redistricting, likely to affect the 6th Congressional District’s heavily gerrymandered district lines, Schulz’s name has crept back into the conversation, with several Maryland political insiders ranking her at the top of the list to run for Congress. On Friday, Gov. Hogan announced that he was appointing his deputy chief of staff, Jeannie Haddaway-Riccio, as Maryland’s secretary of natural resources. Haddaway-Riccio, 41, will replace Secretary Mark Belton, who is returning to his former post as Charles County Administrator, according to a Friday news release. Former Gov. Robert L. Ehrlich (R) appointed Haddaway-Riccio to the Maryland House of Delegates in 2003 (District 37B) to fill the term left vacant by Kenneth D. Schisler, who was appointed as the Chair of the Maryland Public Service Commission. She ran for election and re-election in 2006 and 2010, respectively. Haddaway-Riccio has already experienced the grind of a statewide gubernatorial campaign firsthand and, like Schulz, has built name recognition. Former Hogan planning secretary David R. Craig tapped Haddaway-Riccio as his lieutenant governor running mate in July 2013. Craig and Haddaway-Riccio placed second to Larry Hogan in the June 2014 Republican gubernatorial primary. Haddaway-Riccio will begin her new role in early February and is expected to face an easy confirmation by the Maryland Senate. Other potential Republican gubernatorial candidates could include current Lt. Gov. Boyd K. Rutherford, Wendi Peters, a special secretary for smart growth, Harford County Executive Barry Glassman, Hogan chief legislative officer Christopher B. Shank and Senate Minority Leader J.B. Jennings. It’s unclear whether Rutherford would launch a gubernatorial bid of his own in 2022. He recently brought on veteran press aide Hannah Marr, a Hogan press shop veteran – a move that some think will raise Rutherford’s media profile. One thing is clear, though: It is no accident that Gov. Hogan has surrounded himself with politically savvy operators and intellectually talented future state leaders. Hogan’s legacy may in part be cemented by his successor. And there are plenty of women – Republican and Democrat – ready to fill that role.